A new musical experience is coming to Otakuthon from the producers of the internationally acclaimed concert tour Distant Worlds: music from FINAL FANTASY! Join GRAMMY® Award-winning conductor Arnie Roth for a new, more intimate concert featuring a special performance by renowned video game composer Nobuo Uematsu. Responsible for composing much of the music from the FINAL FANTASY series, Chrono Trigger and many other renowned Japanese games, Nobuo Uematsu will join Arnie Roth in performing FINAL FANTASY VI: Dark World. NOTE: Due to high demand and limited seating, this will be a ticketed event. Tickets can be purchased through pre-registration at a price of $10. An Otakuthon badge valid on the day of the performance is also required. 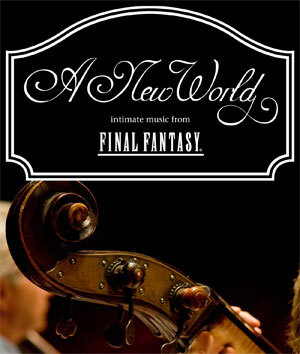 To purchase a ticket for this concert, please select one of the "A New World : intimate music from FINAL FANTASY Ticket" options when completing your Otakuthon pre-registration. Limit one ticket per attendee. Tickets are only good for the chosen performance time (both performances will be the same). Tickets will be available for pickup in registration at the same time the individual picks up their badge. Tickets may only be picked up by the individual. No tickets will be sold at door.